Mount Sinai Doctors LIHA (Hewlett) - Book Appointment Online! 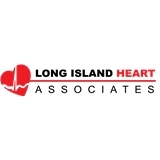 Dr. Rydzinski: Long Island Heart Associates (LI Heart) is the premier cardiology practice on Long Island, serving Nassau, Queens, and the surrounding areas. The LI Heart heart doctors are considered to be among the most elite in the cardiac field. Heart uses the most efficient state of the art equipment for the diagnosis and preventative care of cardiovascular disease. He is an amazing doctor. He takes time to listen all your concerns. Office is clean. All staff is cery nice and polite.